The UK has the lowest proportion of female engineers in Europe, so practical new guidance just out to help employers in STEM (Science, Technology, Engineering and Maths) related industries improve diversity is very welcome. It’s been put together by the Institution of Engineering and Technology (IET) and Prospect, the union for professionals, with many members in the in the science and engineering sectors. Over half (57%) of businesses in the UK do not have gender diversity initiatives in place and 41% have acknowledged that they could do more to recruit staff from diverse backgrounds. The new guidance gives employers suggestions and best practice examples of how they can not only take steps to attract more female candidates, but also ensure that women in their organisation have a fair and even playing field to develop and to progress their careers. In addition, the guidance gives managers tips on how to ensure promotions are fairer among workforces of different genders – and on how their organisations can implement effective ‘return to work’ programmes to re-integrate women coming back from career breaks. Coinciding with the publication of the guidance, the IET has also announced the winner of its Young Woman Engineer of the Year 2015. This year’s winner is an Audio Engineer called Orla Murphy from Warwickshire. The twenty-five year old who is employed by Jaguar Land Rover attended an awards ceremony in London and was one of three category winners to be recognised for her outstanding work in the engineering sector. 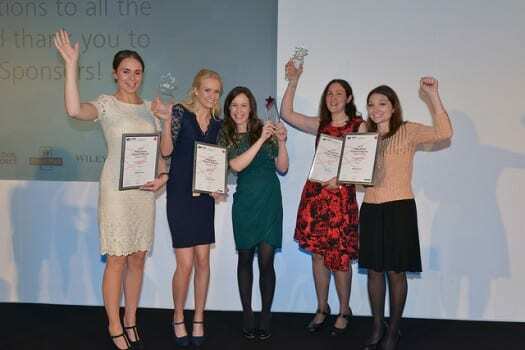 The Awards are part of the IET’s ongoing mission to find female role models to help address the UK science and engineering skills crisis. Women currently represent only 9% of the engineering workforce in the UK (source: 2015 IET Skills Survey). If this trend continues, the IET predicts that the UK will be in a significantly weakened position to find the 1.82 million engineers it is estimated the country will need in the decade up to 2022. Naomi Climer, IET President, said: “Only 9% of engineering staff are women and the lack of gender diversity is contributing to skills shortages that are damaging the economy. The shocking reality is that the UK is missing out on half of its potential engineering and technology workforce by failing to attract women into the industry. Published in an easy to reference format, the guidance looks to tackle issues like unconscious bias within the workplace, evaluating and monitoring the progress of diversity policies, and ensuring all staff feel valued regardless of their gender.